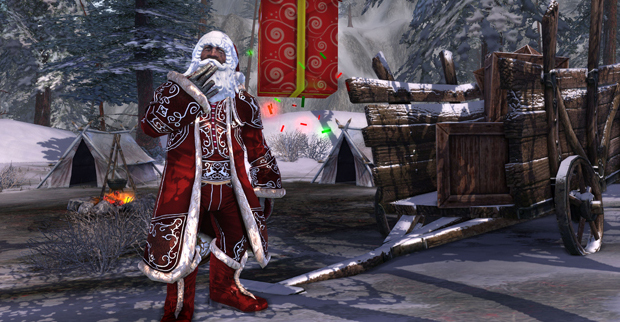 RIFT has joined in on the holiday festivities with the return of its annual winter event, Fae Yule. In addition to lots of goodies — log in bonuses, store items, and the like — the event includes an updated Faelight Sparkle Extravaganza. The activity rewards players with Tier 2 gear each time they complete it and turn it in. The first time they complete the quest, players will receive a bonus Gumdrop Levitation mount, in addition to the other rewards. As for the login bonuses, players will be able to open new bonus caches which include Captured Intel and Lucky Coins. In addition, anyone logging in betwen now and January 4 will be entered to win one of three Ophiel’s Bounty’o’Mounts — containing over 40 mounts. Each day logged in counts as an entry, so you’ll want to start the game up at least once a day.